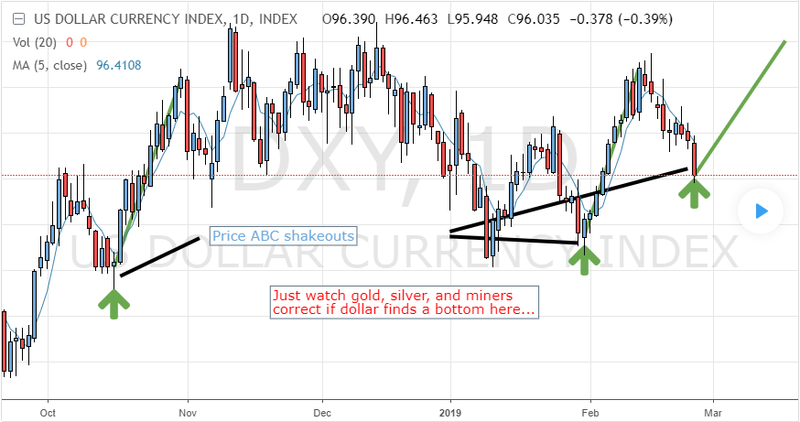 US Dollar Set to Rally and Gold Collapse? – Technical Traders Ltd. The US Dollar is poised to rally back to near $97.50 as this recent downside price swing ends. We believe the US/China trade talks and North Korea deal with result in a strong upside potential for the US Dollar and the US stock market as time progresses. A certain number of industry analysts are starting to announce the recent December 24th lows and subsequent rally as a “new bull market”. We have been suggesting to our followers that this market has lots of room to run as a continued global capital shift takes place. We do expect some price rotation over the next 3~5+ weeks in certain sectors – including the US stock market and Gold. We believe the US Dollar strength will continue to push higher, above $97, with the potential to reach near $99 before the end of this year. 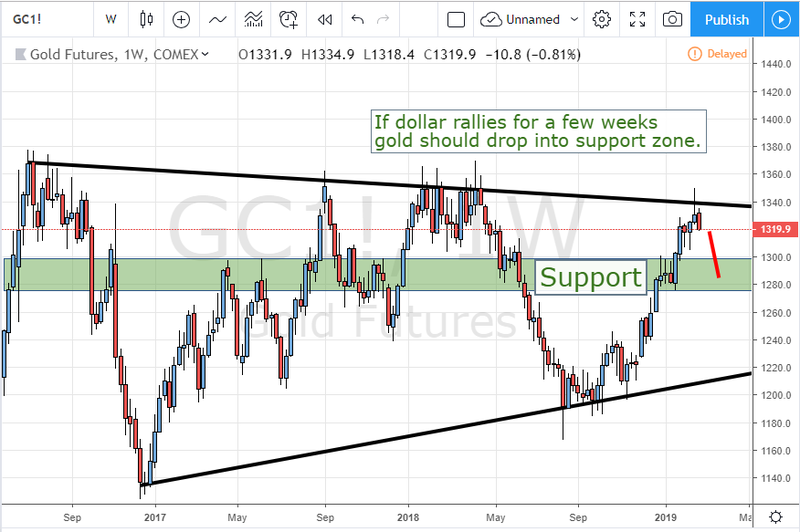 Just take a look at the weekly gold chart price range and support zone. As we know, in most cases when the dollar rallies gold falls. Please take a minute to visit www.TheTechnicalTraders.com/FreeResearch/ to read all of the most recent research – including our very detailed 5-part global economic research series. This post is very important because it shows predicted price levels going all the way into 2021 and highlights why this “new bull market” may just be getting started.